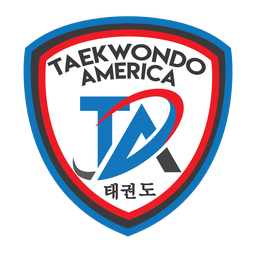 Mr. Michael Dominach, owner of Dominach’s Taekwondo Academy in Independence KY, started Taekwondo in January of 1991. He finds it almost unbelievable that this new rank marks 27 years of a martial arts journey that began when he was just nine years old and living in Dallas TX! What started as an obsession with the Ninja Turtles and the Karate Kid, has turned into a hobby, passion, and career that accounts for 75% of Mr. Dominach’s life. There are so many moments and memories that he considers absolutely priceless, and amazing friendships that he finds simply hard to describe. If Mr. Dominach isn’t using some sort of movie reference, he’s definitely using Taekwondo to talk about this crazy thing we call life. How did he feel about the honor of doing a demo and being awarded his 7th Degree Black Belt?